While continuing its crackdown on services that help Chinese citizens to bypass Great Firewall, Chinese authorities have sentenced a man to five-and-a-half years in prison for selling a VPN service without obtaining a proper license from the government. Earlier this year, the Chinese government announced a ban on "unauthorized" VPN services, making it mandatory for companies to obtain an appropriate license from the government in order to operate in the country. 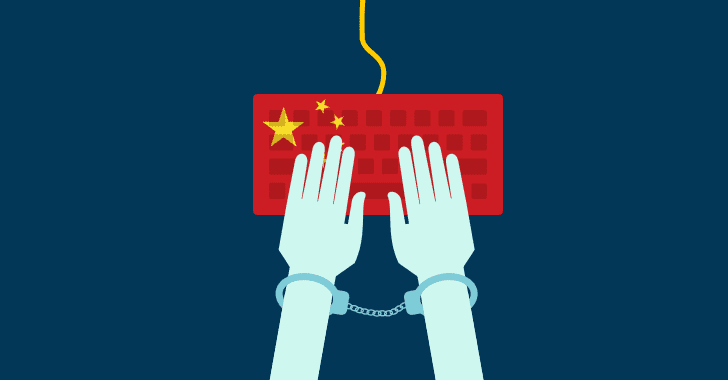 Citizens in China usually make use of VPN and Proxy services to bypass the country's Great Firewall, also known as the Golden Shield project, which employs a variety of tricks to censor the Internet in the country. The Great Firewall project already blocked access to more than 150 out of the world's 1,000 top websites, which includes Google, Facebook, Twitter, Dropbox, Tumblr, and The Pirate Bay in the country. VPN helps Chinese citizens encrypt their Internet traffic and route it through a distant connection so that they can hide their identities and location data while accessing websites that are usually restricted or censored by the country. So to tighten grip over the Internet, the Chinese government announced a 14-month "clean-up" campaign in January, which now resulted in the sentence of Wu Xiangyang, a Chinese citizen from the Guangxi Zhuang autonomous region, for offering a non-licensed VPN service from 2013 until this June that helped thousands of users illegally bypass Great Firewall. Xiangyang was also fined 500,000 yuan ($76,000) by the court in the southern region of Guangxi, according to an announcement from China's Procuratorate Daily on Wednesday. The report also said he was convicted of collecting "illegal revenue" of 792,638 yuan ($120,500) from his unlicensed business. Xiangyang marketed the VPN service on its website, popular shopping site Taobao (owned by Alibaba) and on social media sites. In March last year, his company also claimed on Twitter to have 8,000 foreigners and 5,000 businesses using its VPN service to browse websites blocked in China. This wasn't the first sentencing made in China for selling a VPN service without holding a proper license. Another Chinese citizen, Deng Jiewei, was also sentenced to nine months in prison and fined 5,000 Chinese yuan this March for selling unauthorized VPNs on his website. The Hacker News reported in July that Apple also removed some of the popular VPN apps, including ExpressVPN and Star VPN, from its official Chinese app store to comply with the government crackdown that will remain in place until March 31, 2018.